Uber Technologies is on track to go public next year and has no plans to sell its self-driving car research arm, CEO Dara Khosrowshahi said yesterday. The ride-hailing company will not sell its Advanced Technologies Group "at this time", he told Reuters in an interview after a media event to unveil changes to improve the safety of drivers and riders. "Ultimately, it is a big asset that we are building and we can monetise that in whatever way we want to. It's not something we're thinking about at this point," he added. Uber is "quite optimistic" it can resume testing of self-driving cars later this year after a fatal crash involving an autonomous Uber car in Arizona in March, Khosrowshahi said. Federal regulators are investigating the crash. Advanced Technologies Group will "absolutely" be a part of Uber after the initial public offering (IPO), but it will also partner with other companies that are building self-driving technology, he added. "We want to get the technology ready for prime time as soon as possible." Last month, Toyota Motor said it would invest $500 million in Uber to jointly develop self-driving cars. "We are incredibly happy to start with Toyota but it's not going to end there," he said. Reuters reported in July that Uber was being probed by the US Equal Employment Opportunity Commission for alleged gender discrimination on issues such as pay. In August 2017, Uber said it was cooperating with a preliminary investigation led by the US Department of Justice into possible violations of bribery laws. Reuters reported in 2017 the Justice Department had begun a criminal probe into Uber's use of a software tool that helped its drivers evade local transportation regulators. Khosrowshahi said Uber is "in the process of working with a number of authorities to resolve these investigations" but he did not think resolving those probes would be a factor in the IPO's timing. Uber is preparing to address the "systems" requirements of a publicly traded company, Khosrowshahi said. "The growth rates for a company our size are unrivalled. Right now, we're on track for an IPO next year, market conditions permitting." "Historically, there has been plenty of funding for Uber, for Lyft, etc, and we don't think that's going to change," he said. "This is an enormous market we are going after." 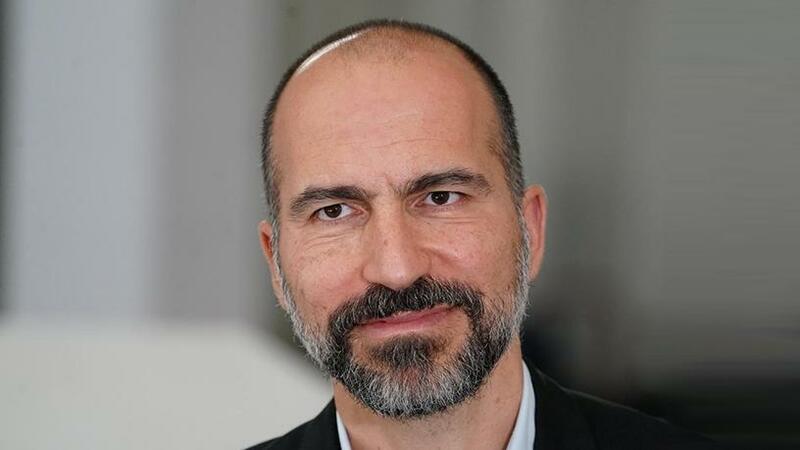 Khosrowshahi unveiled new efforts to ensure the safety of US drivers and passengers by using software to detect unusual events, including crashes. He said Uber would use software to flag atypical rides and would contact drivers and riders in the event of a possible crash in what it calls "Ride Check". The feature could be prompted by a long unexpected stop during a trip. Uber also plans to use sensors on the driver's phone to analyse acceleration data and other factors to detect probable crashes. Uber will protect riders' information by concealing specific pickup and drop-off addresses in a driver's trip history, the company added.